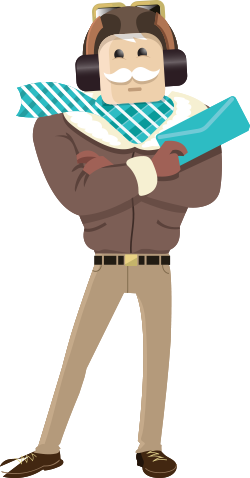 Bill Flight is here to help with his simple yet powerful invoicing tool that helps you create, manage, and send out your invoices. He and his dedicated crew are determined to help you get paid and back to work quickly. Create invoice intervals, allowing you to bill customers and clients month to month. Assign multiple users to an account at the same time, giving you more flexibility with your business and client’s needs. Access your invoices from anywhere; at home or on the go. 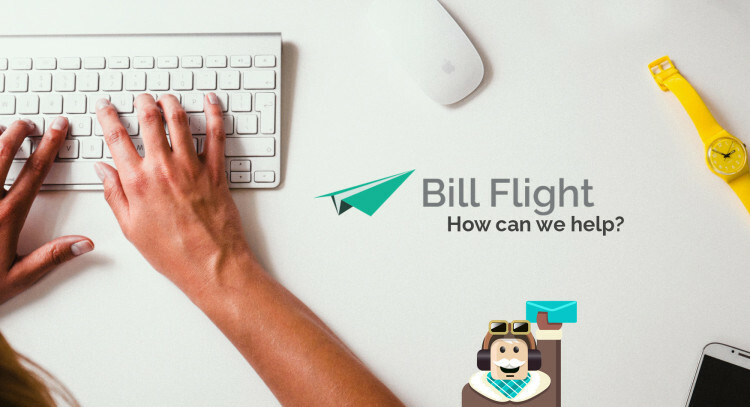 Bill Flight is the smart way to manage invoices and get you back into your daily grind without all the fuss; and we’re here to help. Again, Bill Flight’s goal is to get you paid and back to work. In addition to a comprehensive, easy-to-use model, Bill Flight also offers the ability to issue recurring invoices. Do you issue the same service to several clients on a monthly basis, or happen to host a DIY class every week? Bill Flight makes it possible to send out the same (or different) recurring invoices so you can continue to grow your business without having to chase anyone down. Small business owners are often their own marketers, developers, event planners, and accountants. To make sure you can keep wearing all those hats, we’ve developed an efficient way to get you paid. Bill Flight makes it easy to get paid by credit card, speeding up payment times for the work you do. Forget about fumbling with checks from multiple customers or clients; Bill has integrated our invoicing software with Stripe, allowing you to easily accept payments online and dodge a trip to the bank. You’re in control, even down to the credit cards you want to accept. Check out our article 8 Things You Can Do to Get Clients to Pay Their Invoices On Time for more tips on how to avoid having clients who don’t always pay up when expected. Pesky software updates? Not us. Bill Flight is always available on every one of your devices without the hassle. You don’t have to wait for updates to send your invoices. Instead, Bill Flight offers a speedy mobile and desktop site, compatible on multiple platforms so it goes where you go, just like your business does. Bill Flight’s tracking and reporting features are not only beautiful, but easy to understand. We make it simple to review a variety of reports including client and project overview, yearly and quarterly totals and more. Not to mention, our platform also boasts an easy way to time-track the work you’ve been doing. Accurately record the time worked down to the second with our built-in timer at the top of your screen. Always available and easy to pause when you need to start and stop your work. The time can be seamlessly assigned to a client and hourly rate, meaning you can keep working and let us handle the rest! Unlike other invoicing tools, Bill Flight’s system is here to help you save money. We offer four different plans, all extremely affordable and easy to use. Start small, grow big, but still pay small with Bill Flight. We’re not here to make things harder, so our plans start at nothing (you read that right!) and work their way up to unlimited access for less than $0.35 a day every month. There’s no commitment or credit card required. Sign up for free! You won’t get billed unless you upgrade to another one of our affordable plans. Other than that, the invoicing tools you need are on us. Shoot him an email for technical support, questions, and to learn more about our software. Ready to use Bill Flight? Find the plan that’s right for you and let him help you get back to work!